On Tuesday, chip maker Nvidia introduced a $10,000 computer that it says will allow cars to learn the right and wrong reactions to different situations, essentially figuring out what to do from experience rather than a rigid set of pre-defined situations. 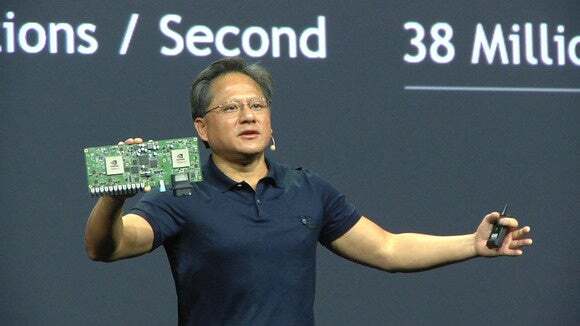 “Driving is not about detecting, driving is a learned behavior,” said Jen Hsun Huang, CEO of Nvidia, during a presentation at the company’s GTC 2015 conference in San Jose. The Drive PX is based on two of the company’s Tegra X1 processors and will crunch video from up to 12 cameras. Over time it should learn, for example, to slow down for dogs but not slam on the brakes for a piece of newspaper blowing across the road.